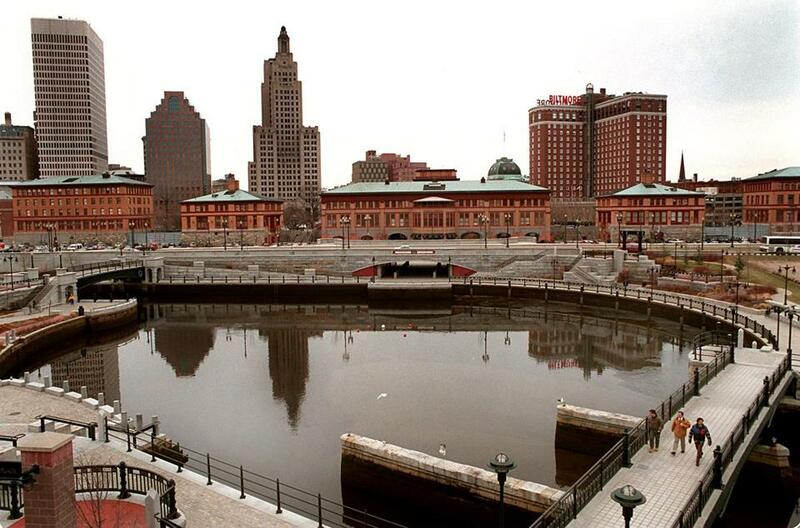 Rhode Island voters heading to the polls in next week’s presidential primary should confirm their polling locations before showing up — or they might find an empty room. Only about one-third of the state’s polling locations will be open on Tuesday, meaning voters will be crammed into 144 polling locations instead of scattered among the usual 419 spots. And although two presidential primaries could mean high turnout in the state, local officials said they were not concerned about long lines or confused voters because the state has done this before. “It’s been that way,” said Kathy Placencia, administrator of elections in Providence. Rhode Island law allows for closing polling locations during presidential primaries — and only presidential primaries. The state’s 39 cities and towns have historically taken advantage of this law in what’s become something of a tradition to keep costs low during an election that usually sees few voters. Robert Rapoza, director of the state Board of Elections, said they have reduced polling locations for the last four presidential primaries, including the contested 2008 Democratic primary battle between then-US Senators Barack Obama and Hillary Clinton. Arizona’s primary was an utter disaster. But was it just a big mistake, or something more nefarious? 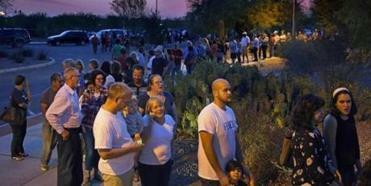 And were there long lines filled with angry and disenfranchised voters? These three things combined — fewer polling locations, the voter ID law, and a complicated ballot — “might be what causes some problems next Tuesday,” Marion said. But Rapoza said they have built in some considerations to help ensure things go smoothly, such as increasing the number of poll workers at each location, adding voting booths, and using new equipment that can accommodate more voters. So state and city officials — and the parties themselves — don’t seem overly concerned. Craig Duffy, chairman of the Cumberland Democratic Committee and a School Committee member in that town, said Tuesday that he had just returned from a two-week business trip and found zero complaints from constituents. What was in Duffy’s inbox was an e-mail alerting him to the reduction in polling locations. “Then I went to the secretary of state’s website, and it told me exactly what polling place I needed to be at,” he said. Which is a good thing “because it’s different from my own,” he added. State and city officials, the parties, voting rights advocates — pretty much all sections of Rhode Island politics — are urging voters to do just what Duffy did. In the last four presidential primaries, voter turnout peaked at 32.4 percent in 2008, according to the state Board of Elections. The primary before that, 2004, only 6 percent of eligible voters voted and the one after — in 2012 — just 3.26 percent cast ballots, according to state figures provided by Rapoza. “So you can see the history here,” he said. And while Rhode Islanders might look at the reduction in polling locations with a bit of yawning normalcy, some Arizona voters do not. Reports say cutbacks there contributed to a primary day mess last month that left some voters standing in line for hours. But Marion is hopeful that won’t happen in Rhode Island. “They know that we’re watching,” he said.